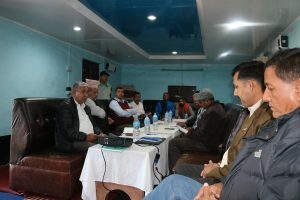 Navajeevan Cooperatives Limited, Dhangadhi successfully organized an interaction meeting on 3 years business plan on 11-12, March, 2019 at Khanidanda, Kailali. 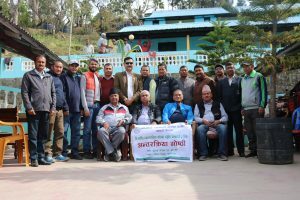 The program was held under the chairmanship of Mr. Ghan Bahadur Shah, Coordinator, 3 Years Business Plan Sub-committee and chief guest of the program was Mr. Chakra Bahadur Singh, President. 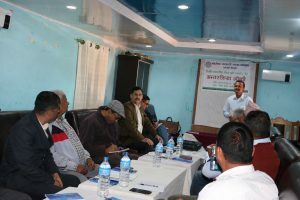 The draft of the plan for the coming three fiscal year was presented by Dr. Govinda Raj Joshi, Vice- president. 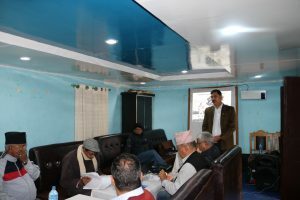 Prof. Dr. Hem Raj Pant, an expert member of the committee conducted a special session for the necessary amendment. Mr. Maheshwar Pathak(Advisor), Board members and staffs actively participated in the program.